Het Arresthuis was previously one of Netherlands feared prisons for a period of almost 150 years. It was not a place anyone wanted to stay. Following its closure and a huge makeover, the hotel is now a hotspot and people are paying lots of money for a night in the cells. 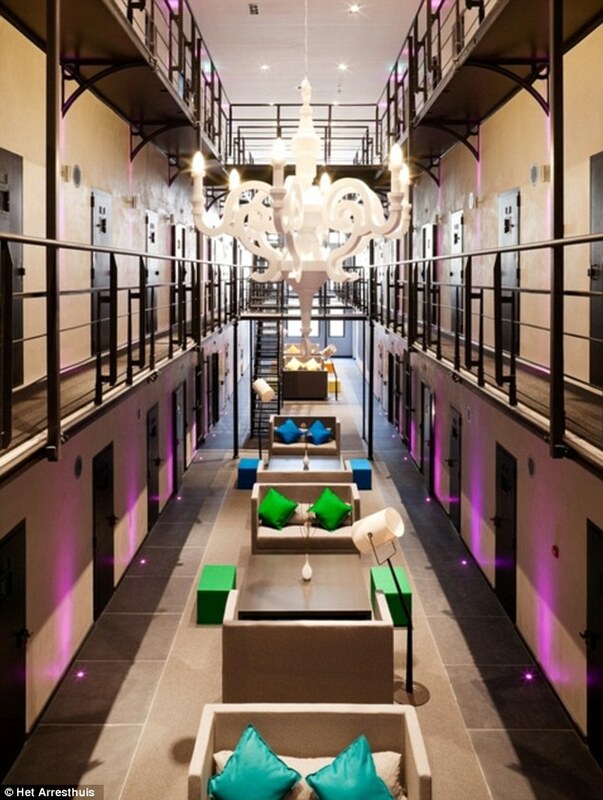 The former 105 prison quarters have been transformed into 40 spacious and luxurious rooms. They include 12 deluxe rooms, 24 standard rooms and four suites that feature chic interior designs and modern furnishings. The rooms have all been equipped with a flat screen TV, air conditioning, free WiFi and a personal tea and coffee machine. If you visit the place, you get to enjoy services like a fitness center, sauna, central patio that has olive trees and a garden of organic herbs. The prison also features lots of bars-some you just can’t get past and some where you just sit and have a drink. 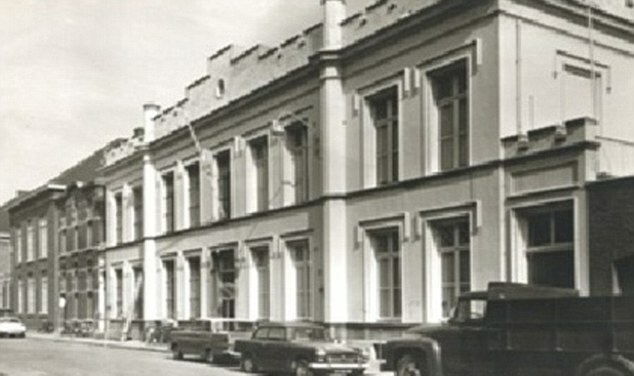 Het Arresthuis after opening in 1862 had gained the reputation of being an intimidating jail. It was later abandoned for some years only to reopen in 2002. It was closed permanently in 2007 and construction of the luxurious hotel began. 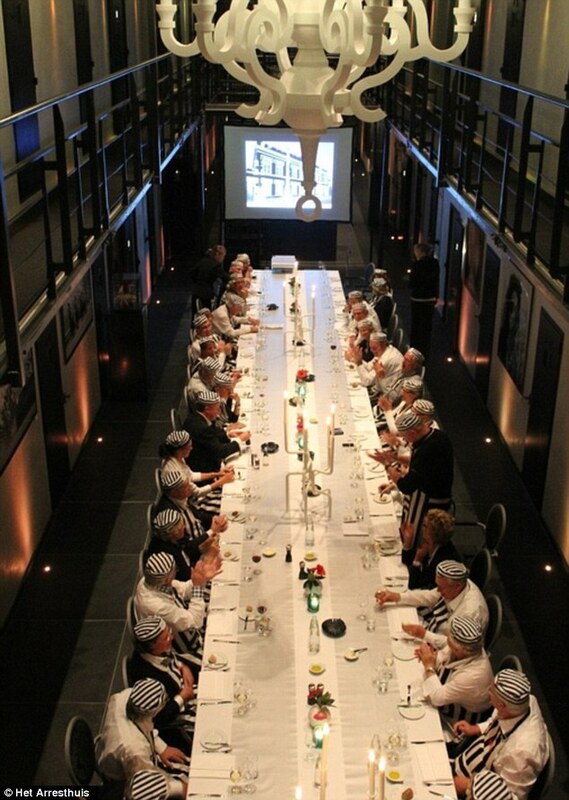 It was also referred to as ‘bolletjesbajes’ which means stuffer’s prison. 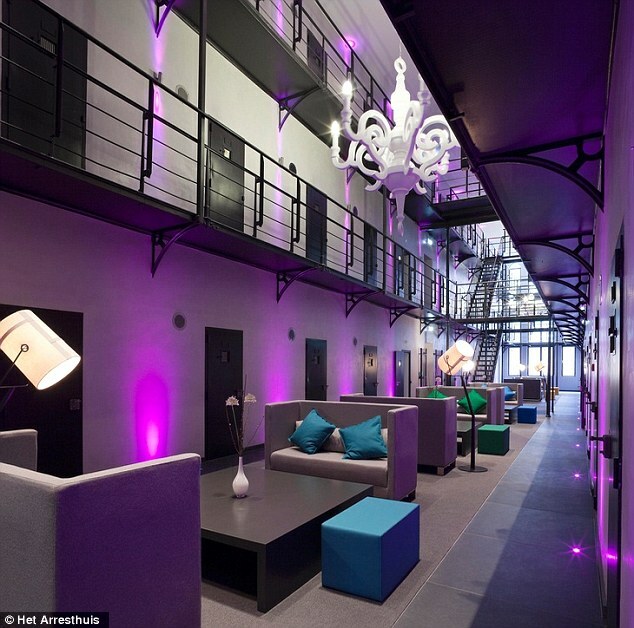 Other prisons that have been transformed into luxurious hotels include the Oxford prison which, after closing in 1996 it underwent transformation into a Malmaison Hotel. The Jailhotel Lowengraben prison in Lucerne is now a hotel. 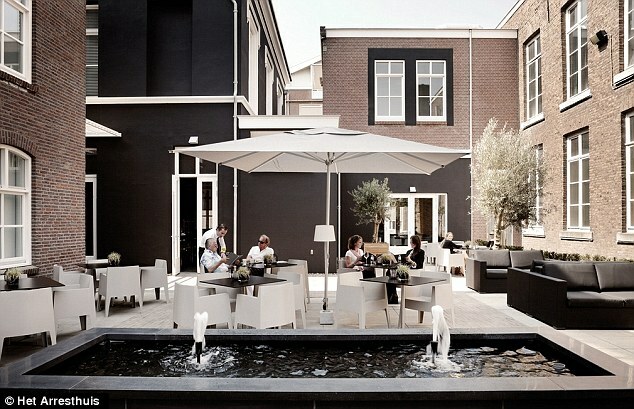 Built in 1862, this was a prison until 1998 and was later converted into a hotel. What You See Here Are Not Photographs, But Actually 3D Renderings Of Human Beings—All Generated On A Computer.